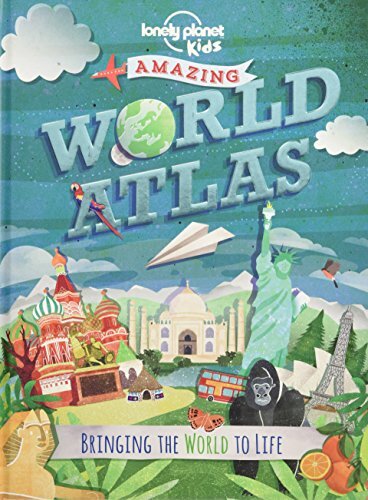 Maps, Atlases, and Travel Encyclopedias: Great Holiday Gifts for the Whole Family! 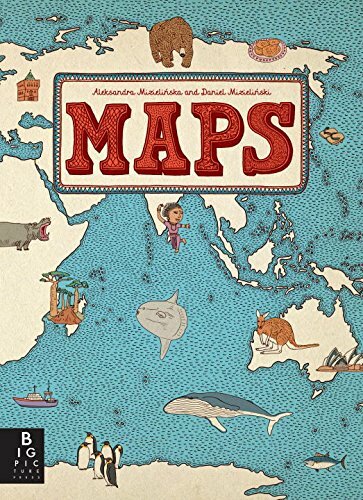 Kids love stories, but they also love maps and atlases – especially ones with beautiful photos and fun, fascinating facts. Not to mention games, recipes, and puzzles! Here are some fantastic gift ideas for this holiday season – something for everyone! First up are books of maps, starting with a wonderful Pop-Up Atlas for younger kids. Another favorite is “Maps,” a lovely pictogram atlas that is one of our best sellers. 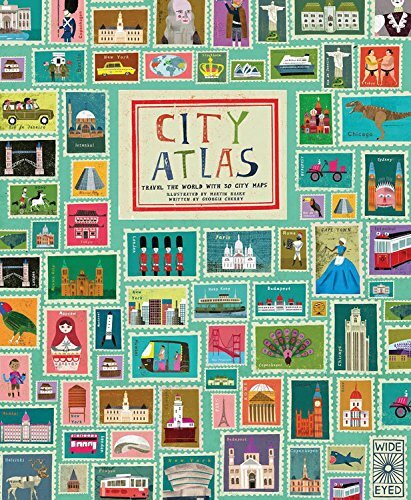 The City Atlas takes a similar approach, and is notable for including almost all the European capitals (as well as a cross-section from other continents.) 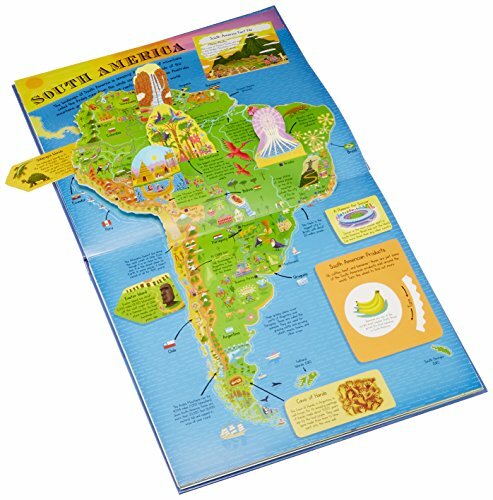 Finally, Lonely Planet Kids offers a combination of Atlas and Encyclopedia that few can resist! Not every global atlas has to have maps — some are rich with photographs, fun facts, even recipes, puzzles and games. 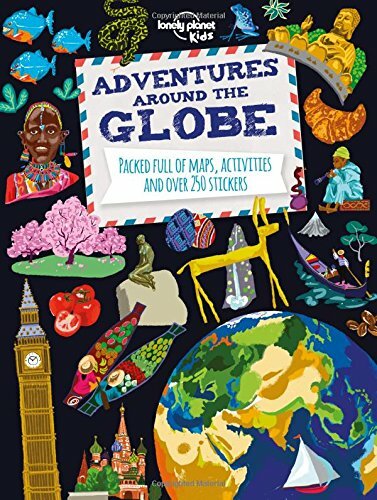 Lonely Planet Kids “Adventures Around the Globe” is a great paperback to take on a long plane trip or car ride – lots of activities. 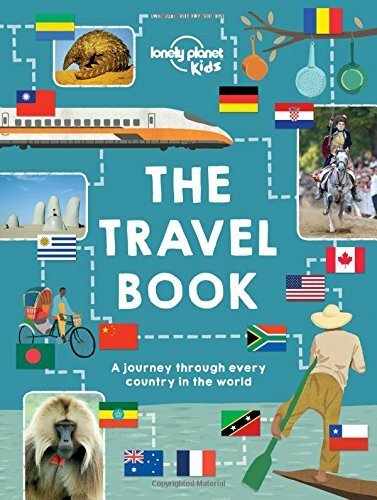 And their hardcover “Travel Book” is a gorgeous photo-encyclopedia that includes a profile of every single country in the world! 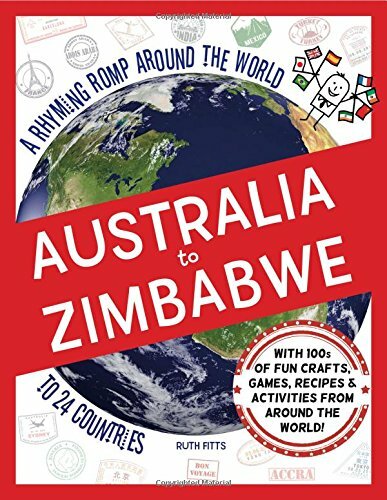 Meanwhile, the lively “Rhyming Romp from Australia to Zimbabwe” is packed with fun activities that everyone from home-schooling parents to scout leaders to teachers will want to share with kids. 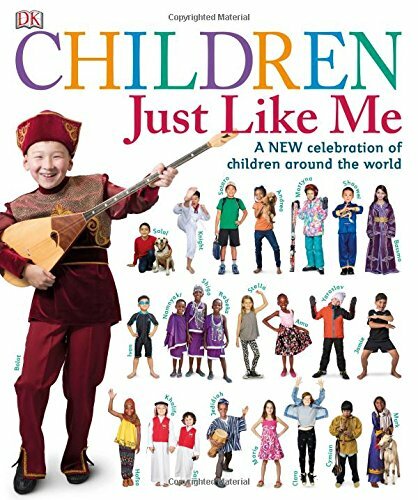 Last but not least, these two fabulous books from Doring Kindersley (DK) present the lives of children living all around the world today, and similar imaginings of children throughout history. 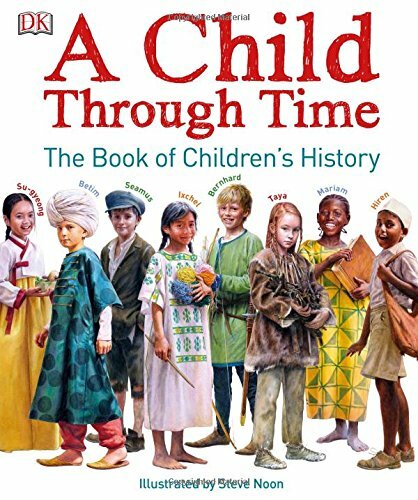 Beautiful, lively, and full of the kinds of facts that kids really enjoy. We highly recommend them both!